It is no secret that healthy, happy and productive employees result in lower healthcare insurance costs, reduced turnover, higher attendance and higher profits. While some SMBs may consider having a wellness program a luxury, many others are finding that an incentive-based program is a valuable asset. "If you build it, they will come" is a valid philosophy when employees use the program to generate measureable results for your organization. 1. No Incentives: It's tempting to take the position that "good health is its own reward, so everyone should sign up for this program." Unfortunately, this doesn't get most people to take action. Solution: Wellness programs attract the most people when incentives are involved. Instead of expecting your employees to leap at the opportunity to improve their HDL cholesterol, try appealing to their inherent interest in rewards. Incentives are the spark to get your employees to take notice. 2. Misplaced Incentives: Early attempts at incentive-based wellness programs were tempting but resulted in short-term programs with participants who were not committed to changing their behavior. Solution: Align the incentives with measureable outcomes. If your program is focused on reducing hypertension, offer rewards for blood pressure level improvements. Do the same for weight loss and other health issues. This shift from "pay for participation" to "pay for performance" is crucial to create a long-term culture of health. 3. Pull vs. Push: Books, websites, posters and other passive methods require employees to be motivated to seek out information. This approach may work for a few, but most employees will claim they are too busy to make the effort. Solution: Try a program that focuses on delivering information via social media, including email, SMS text messages, Facebook, Twitter, Linked In and others. 4. Wrong Communication Channel: What could be better than getting a personalized phone call from a nurse or coach dedicated to helping you improve your health? For some folks, that is ideal. But for a lot of busy, stressed out employees, the threat of another phone call is enough to keep them away from a wellness program. Solution: Survey employees and ask what would make wellness easier for them. We found that 91 percent are on Facebook and 77 percent use social media tools at least weekly. For a free copy of our Mobile and Social Media in Wellness Survey, contact me at tmcguire@incentaHEALTH.com. 5. Short-Term Thinking: Wellness is not a six-week contest or a 12-week boot camp. Those things can be part of the answer, but employees need to know that you expect them to change their nutrition and exercise habits. Solution: It is best to tell employees that this is the start of a multi-year campaign that will reward them all year long for positive progress. 6. Privacy is Just a Legal issue: The Health Insurance Portability and Accountability Act (HIPAA) does a good job of making the protection of personal health information a priority. It may also make us obsess over the legal requirements and perhaps overlook the reality that good privacy can actually increase participation. Solution: Programs that incorporate private screening kiosks, anonymous Q&A with health coaching, and online tools that allow team competition without revealing individual stats, can help protect employee privacy and boost participation. 7. Wellness is a Serious Medical Issue: Health and wellness are as serious as a heart attack. Unfortunately that doesn't translate into how you should market your wellness program to your employees. The reality is that most people are not motivated by stern lectures from their physician. When we ask employees why they want to improve their health, their top answer is often "to fit into my old jeans". Solution: To get employees to enroll in a corporate wellness program, you need to highlight how joining the program will help each employee reach goals that matter to them. A well-designed program will find out what motivates each employee and harness it. 8: Wellness Not Always a Team Sport: A popular feature in corporate wellness programs is the team challenge. But for everyone that loves team-based approaches, there are others who are sensitive about their health and privacy and would rather make it a personal journey. Solution: That difference must be respected. To reach a happy medium, it is best to offer both individual incentives for reaching benchmarks, and group incentives for those who prefer team challenges. 9. Enrollment Data Overload: There's a real risk of trying to get too much information with enrollment forms that are long and cumbersome. This can drive people away from even the best wellness programs. Solution: Use a well-designed-and short-enrollment form that will get people started in five minutes or less, and save your recruiting dollars for rewarding progress. 10: Offer the Wrong Program: Many organizations have conducted an HRA to determine the primary employee health issues and design wellness programs for each condition. This makes perfect sense, but in reality many employees postpone taking any remedial actions. Incentives are often required just to get the HRA completed. That's not real behavior change. Solution: Virtually every HRA finds the same thing: Your workforce is overweight, stressed out, sedentary, has high blood pressure and has (or is heading for) heart health issues. Take advantage of the fact that many employees are motivated primarily by improving their looks and feeling better. A program of healthy eating and active living can help them take the crucial first steps toward reducing a variety of health risks. Todd McGuire is co-founder and chief technology officer of incentaHEALTH, a Denver-based healthcare technology company where he has helped design and implement winning wellness programs across dozens of worksites in the U.S., U.K., Singapore and Puerto Rico. He can be reached at tmcguire@incentaHEALTH.com. 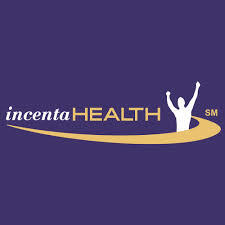 Incentahealth is a cloud-based health care technology company, headquartered in Denver, that offers measurable wellness programs designed to help organizations and communities reduce their health care costs by offering incentives to individuals for improving their health. Employees can manage their weight through the use of interactive email and text message coaching, weigh-ins on private kiosks in corporate and community locations, and cash rewards for sustained weight loss success. The patented HEALTHspot® kiosk takes full-length digital photos and keeps an electronic record of each participant's weight, blood pressure and body mass index (BMI). Participants also have access to health coaches who provide live support whenever it's needed. Organizations throughout the U.S., the U.K., Puerto Rico and Singapore have implemented this health care solution for their employees and have reported significant success. More information is available at www.incentahealth.com.